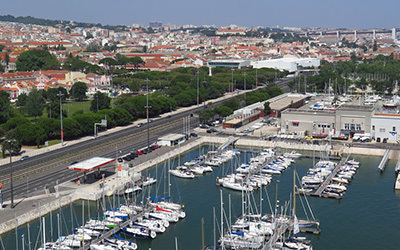 The hotel Vila Galé Ópera is located in front of the Tagus River, next to the Congress Centre of Lisbon and the Docks area, and is just 5 minutes from the monumental area of Belém and 10 minutes from the historic city centre. 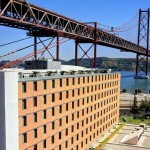 This hotel in Lisbon, renovated in 2014, the modern decor is inspired by opera and many of its rooms offer an unparalleled view of the Tagus River. The hotel has an area for meetings and banquets, a spa with indoor pool, gym, sauna, Turkish bath and massage rooms, a restaurant and a bar with live performances of opera two days a week. The hotel offers free Wi-Fi access in all areas. 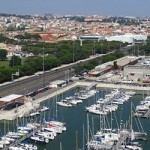 Next to the hotel, Jerónimos Monastery, Belém Tower, the Monument to the Discoveries and the famous pastries of Belém. In the evening you can also walk to two of the most famous areas of restaurants and bars in the city: Docas and the Lx Factory. Also close to the hotel, you have access to the train, tram and bus, which can take you in 10 minutes to the downtown area Baixa-Chiado and the historic centre of Lisbon. Vila Galé Ópera has a total of 259 bedrooms. Among them, we highlight 19 superior rooms and 16 junior suites. 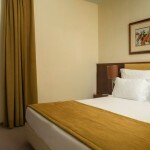 Superior rooms include: bathrobe and slippers, garage (depending on availability) and minibar.